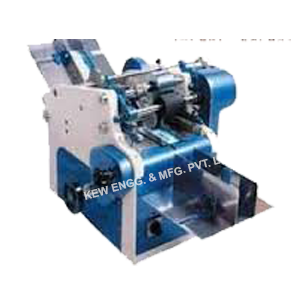 all type of Bach code machine manufacturer, also, Rotogravure Printing Machine with international standards of quality. Automatic Batch Coding Machine suitable to neat, sharp & registered print Batch Number, Date Of Manufacturing, Expiry Date, Prices, best before dates, traceability codes, batch codes & other statutory information with the help of Rubber or Polymer flat Stereos. Machine with automatic feeding System, Stack of Pouches is pulled or pushed by roller & collected from the tray after printing the message. Batch coder machine for the production requirement of approximately pieces per day to print help with special batch coding Machine and Ink Activator for reducer ink viscosity it stronger than permanent marker ink on most shiny surfaces, including shiny papers, most plastics. Automatic Labels, Cartons & Pouches Coding Machine installs mechanical arrangement to print at the accurate place.